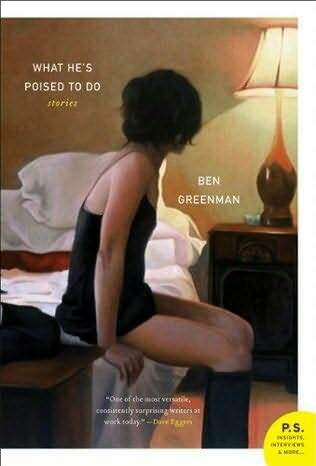 I recently read Ben Greenman‘s forthcoming What He’s Poised to Do and no book in recent memory has impressed me as much as this lush and thoroughly engaging short story collection. I am not a good book reviewer. All I ever want to do is talk about how much I loved a book and that’s exactly what I’m going to do here. I have no interest in being critical about the reading I do for pleasure. I am breaking my no review policy (which, admittedly, I break so often as to really bring into question the point of having a policy) to talk about this book because it is just that damn good. Writers are often enamored by epistolary narratives and that is certainly understandable. Letters are interesting. Letters are important and romantic and confessional and all manner of things. There was a time when the only way people could communicate across great distances was through letters. Many people lament when it meant something significant to put pen to paper, to put paper in an envelope, to apply a stamp, to send, to wait, to read, and respond. I have never been much of a traditional letter writer. My penmanship is terrible, and generally evokes a serial killer vibe. My hand always starts to hurt after a few moments. I enjoy writing long, interesting e-mails to friends and others but I have no real nostalgia for traditional letter writing anymore. I don’t know that I ever did. What He’s Poised to Do, however, moved me so much I immediately wanted to write a dense, heartfelt letter to everyone I’ve ever known.